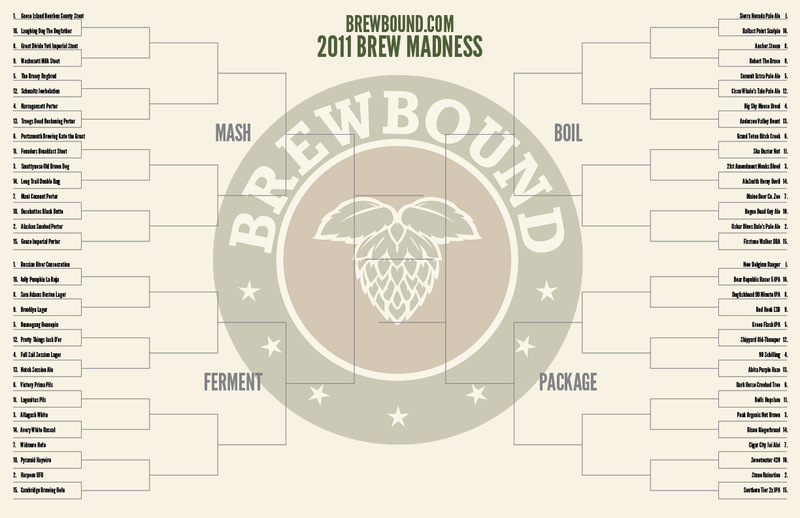 March Madness is here and to celebrate, brewbound.com has set up their own 64-brew bracket to honor some of the best craft beer the U.S. has to offer — and let fans pick a champion! This year’s selection committee selected some of the most popular, most innovative, and all-around best-loved beers in the country to choose a bracket featuring 64 different breweries. Winners of each round will advance all the way through a “Final Four-Pack” and on to determine the most popular craft beer in the country. Brewbound.com will follow the same schedule as the actual tournament, meaning that fans will have only two days to vote for their favorite brews to advance out of the first round. Second Round Voting will take place on March 19th and 20th!